Portsmouth Music Hub has released its latest film as part of its One World Environmental campaign. The film called Pollution Revolution, which can be found on the Music Hub’s YouTube Channel, has been created with children in mind, and it encourages the viewer to take positive steps to improve the local environment and to safeguard our planets limited resources. The film is set to music, and Pollution Revolution is just one of 17 songs that have been created by the Music Hub’s Award-winning team of composers. With subjects ranging from air pollution, blue whales and chlorofluorocarbons the One World songbook tackles challenging environmental issues in a positive, exciting and engaging way. The songs have been made available, free to download, for everyone, and educational providers in the UK, France and Canada are already using the Music Hub’s songs to inspire children and young people. Social Media plays an important part of the One World Environmental campaign, and the Hub has deliberately embraced a variety of social media platforms to communicate easily and effectively with young minds. 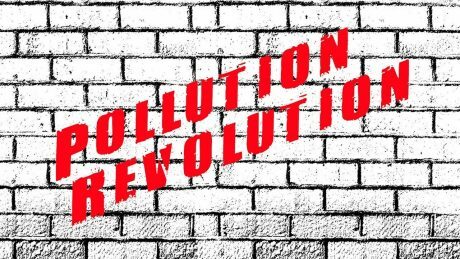 Pollution Revolution is the sixth song that has been made available on YouTube, with more to come in 2019. To find out more about the One World campaign and the ongoing work of Portsmouth Music Hub to educate and inspire young people visit www.portsmouthmusichub.org.uk.